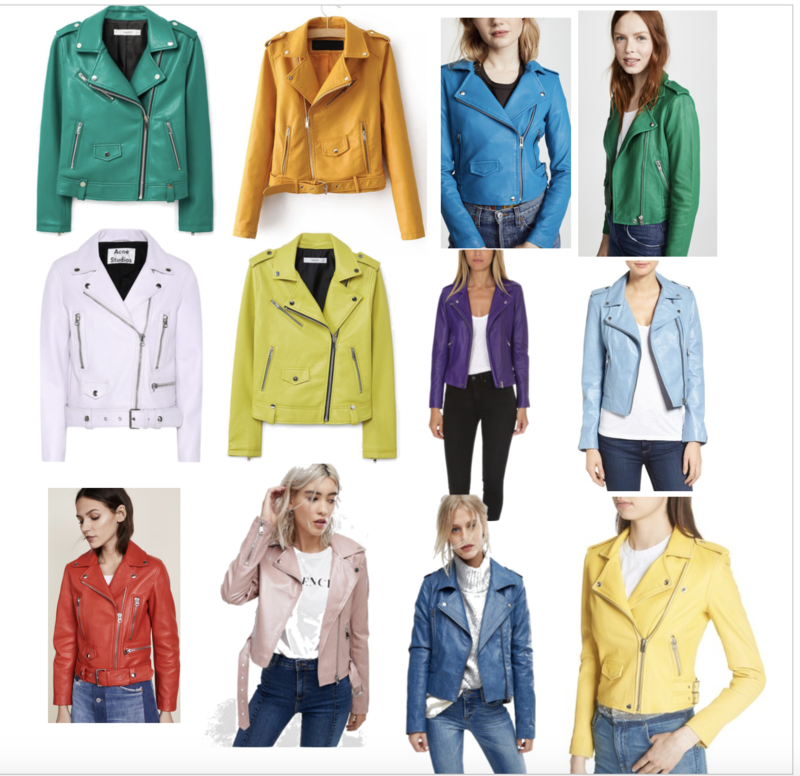 I am sure everyone is being bombarded with gorgeous chic black leather jacket options for Fall, so I decided to showcase a fun, and bright alternative. Ditch your regular black leather jacket for some color! Just because the weather is getting cold and dark, doesn’t mean your wardrobe has to match! Spice things up with a splash of color, and beat the coming Winter blues! Here are some of my current favorites! All links to jackets are below! !